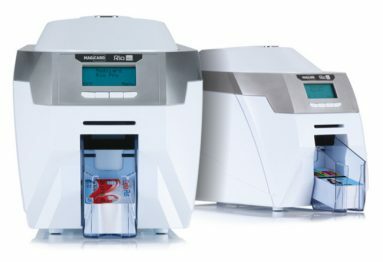 The Rio Pro Magicard ID Card Printer is the next generation of printers from Magicard and is one of our most popular printers. This direct to card printer is designed for high volume card printing with some fantastic security features in which I will go through later. Design wise, the printer is built with simplicity in mind. At the front of the machine is a standard 100 card hopper with the output hopper capable of taking 70 cards. 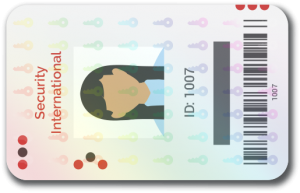 One of the main advantages to the Rio Pro ID Printer is the security features that it offers. Magicard have patented a watermarking technology conveniently called HoloKote. Providing anti-counterfeiting visual security, HoloKote allows you to watermark your ID cards and plastic badges during a normal print cycle. This is really a great feature which our pro’s love. the light, the technology provides a visual authentication which is near impossible to duplicate by someone outside your organisation. For a limited time only, we are offering this feature for free on any new orders of a Rio Pro. I have tested the printer in a number of scenarios and it’s printing is hardly audible. Print speed is comparable to the Evolis range at about 31 seconds for full colour cards. The Rio Pro is both USB and Ethernet compatible so there is incredible versatility in terms of connections. If you find you only need a single sided printer right now, this is perfect for you but should your needs change, this can be very easily upgraded in your office. If you are keen on this option, we are running a FREE upgrade to double side printing on any MAGICARD Rio Pro’s (worth €250) until the end of January, 2017. As of May 13, 2014, all of the features that you get from Magicard printers running on the Windows operating system are also available for Magicard printers running on Mac OS thanks to Magicard’s new printer driver. This is a well rounded and ideal system if you are looking for an ID printer and security is important to your organisation. It’s very versatile and is designed for large volume print jobs. The unique feature of HoloKote is something I love as it provides for that added level of security which is comparable to none. If you are looking for a good value ID printer which is adaptable and great value, this system is for you.